This is it folks, the last non healthy recipe I'll be sharing for awhile. I had to get it out of my system this past weekend and use my new Kitchen Aid mixer to make some sugary cookies. So what if I ate them all? I had to get them out of my house before Monday! I don't normally care for cookies or sweets in general. I'm a salt eater. Jon digs the sweets. But for some reason my mind told my body it wasn't going to be feeding off processed sugar for awhile so I felt the need to make and eat 3 dozen cookies. (This here blog is a judgement free zone). I pilfered through the cabinets grabbing everything that sounded good. Jon ended up naming these cookies Yum Yum cookies because, well, he thinks they are the yummiest. I present to you a suped up version of an oatmeal raisin cookie. 1. Preheat oven to 350F. Don't grease baking sheets! 2. Mix both sugars and butter, add eggs, and vanilla. 3. In seperate bowl stir together flour, baking powder and salt. 4. Add oats, and mix together with your mixture from step 2. 5. 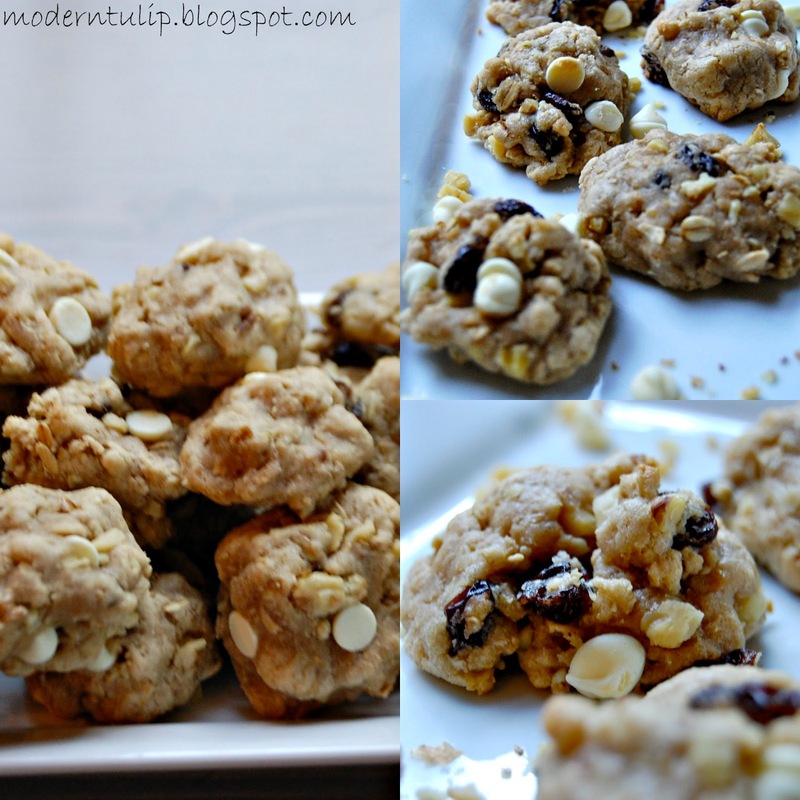 Fold in raisins, walnuts, and chocolate chips. 6. Bake for 8 1/2 minutes exactly. 7. Move immediately to wire racks. 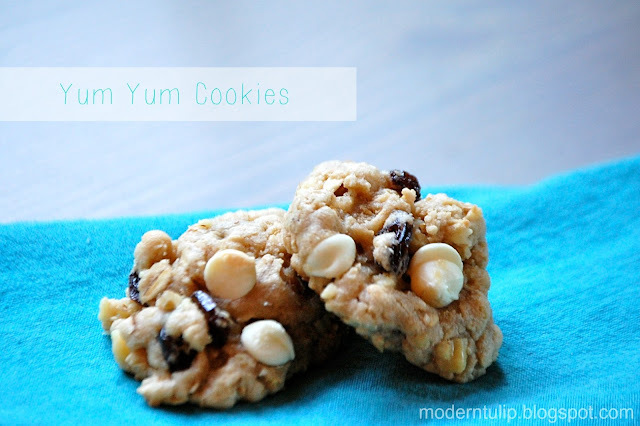 2 comments on "Yum Yum Cookies"
I think these may be worth the calories!